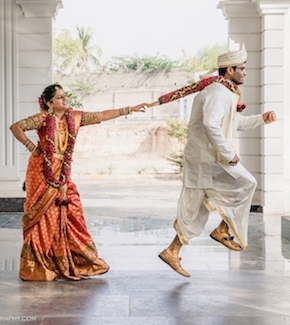 After working as a photographer in the fashion and advertising industry, Ashish switched to wedding photography when he realised that there is a shortage of good wedding photographers. 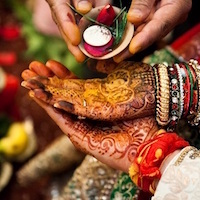 He wanted to create and share his artwork for the world to admire and weave magic around the beauty of various ceremonies we have in most of our Indian weddings. We are pleased to share his journey and how Vivah Moments entered and grown into the Indian wedding market. Wedamor – Glad to have you here at Wedamor. Well, our readers would love to know about Vivah Moments and how it was founded? Vivah Moments – Vivah Moments was founded by Ashish Nagpal in 2011. Since 2014, it is being managed by the husband and wife duo, Ashish and Swati Nagpal. It consists of a team of 7 people which includes photographers, cinematographers, designers & video editors. “Initially, I worked as a photographer in the advertising and fashion industry. Back then, a close friend of mine got married; the wedding was grand and very beautiful but the photographs and videos that came after were not very appealing. The photographers were not doing enough justice to the photographs. At that time, not many good photographers were willing to shoot weddings and hence, there were very few good wedding photographers available. It was then, that I decided to come into wedding photography and this is how Vivah Moments was born”. Wedamor – Good to know that you came this far. So, what was the source of inspiration behind which forced you to try wedding photography and how you find it different from the normal photography? 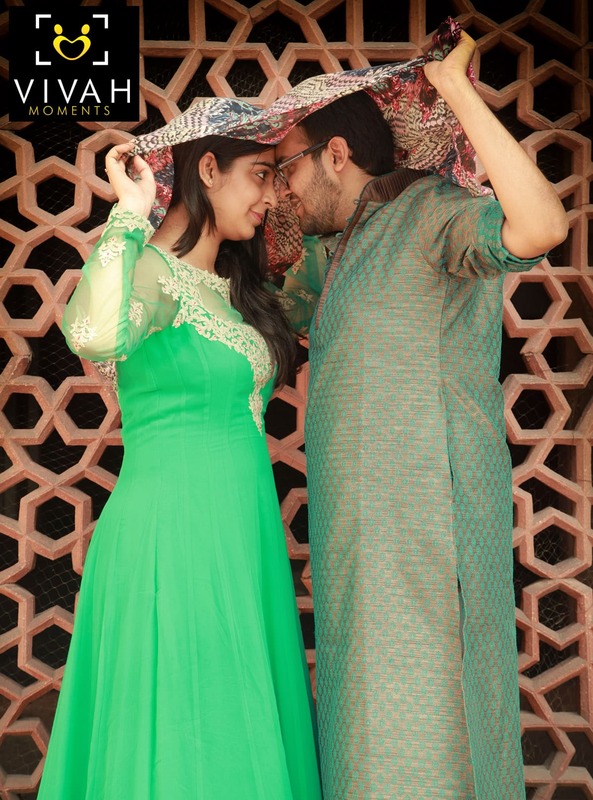 Vivah Moments – In normal photography, you get ample time to adjust the lighting, the frame, the composition, according to you. Basically, you can alter the whole frame to get the perfect picture. But, in wedding photography, you need to be spontaneous, you need to anticipate the moments and be well prepared in advance. You need to be alert as you are capturing real emotions and there will be no retakes. Wedamor – Briefly describe the services you are offering and what makes you different from your competitors? Vivah Moments – Our services include Candid photography, Portrait photography, Cinematography, Pre-wedding photography and music videos. As far as competition is concerned, our work speaks for itself. Every photographer has a unique style and thus, can’t be compared. Our wedding films can arouse an emotion of joy and bring you in tears. The wedding albums crafted by us will take you down the memory lane and you’ll be surprised to see the candid emotions captured. Wedamor – Would you like to pick the favourite wedding you have captured till now? Vivah Moments – It is difficult to pick just one. 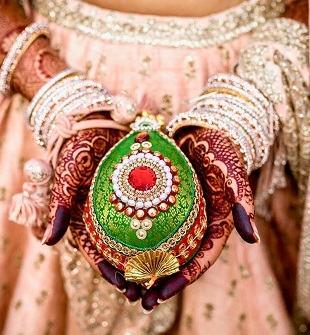 Each and every culture is different and has its own traditions and rituals. I enjoy each and every ceremony and love to capture the joy and emotions behind it. Wedamor – Do you find it difficult to show the chemistry between the couple on camera? Vivah Moments – Nowadays, most of the people are already well acquainted with each other. As long as they are comfortable with each other, we do not feel any difficulty in capturing their chemistry on camera. Vivah Moments – Meeting different people, interacting with them, making new friends is the most exciting thing for me. Wedamor – So, let's conclude the interview with one last question. How has the journey been so far and any future plans? Vivah Moments – So far so good! Everything about the journey has been exciting. We have had ups and downs, but we have always come out stronger. For our future, we aim to be one of the best-renowned photographers in India. After that, work internationally and maybe have a branch in the U.S. as well.